The above could be why my older brother Steve, who was always far less cool and with it than I, had to explain to me what the letters LFMF meant (means “Learn From My Fail” for you other backward folk). He, in his doddering old age, knew more than I, in my youthful hipness… or is that hippiness in my case? Gotta cut down on the cookies. Oh well. I mentioned before that every year I make cookies. More cookies than can be eaten by a small country. I make some of the same every year and some new ones every year, which might or might not go into the yearly traditions. Well, one that has been in there for about 20 years now are gingersnaps. WAIT A MINUTE! Get back here! This is NOT like those completely disgusting ones that you get in bags at the supermarket. I hate those myself. But I always liked the IDEA of them which is why I tried these years back. Verdict? They’re fantastic. These are chewy, full of the spices that just scream Christmas (no.. really… they do. Spices talk to you too don’t they?) and one that always disappears from my cookie tray at Christmas. That may or may not be due to my oldest son and I hogging them but I prefer to think that everyone gets their fair share. HA! Yeah right. 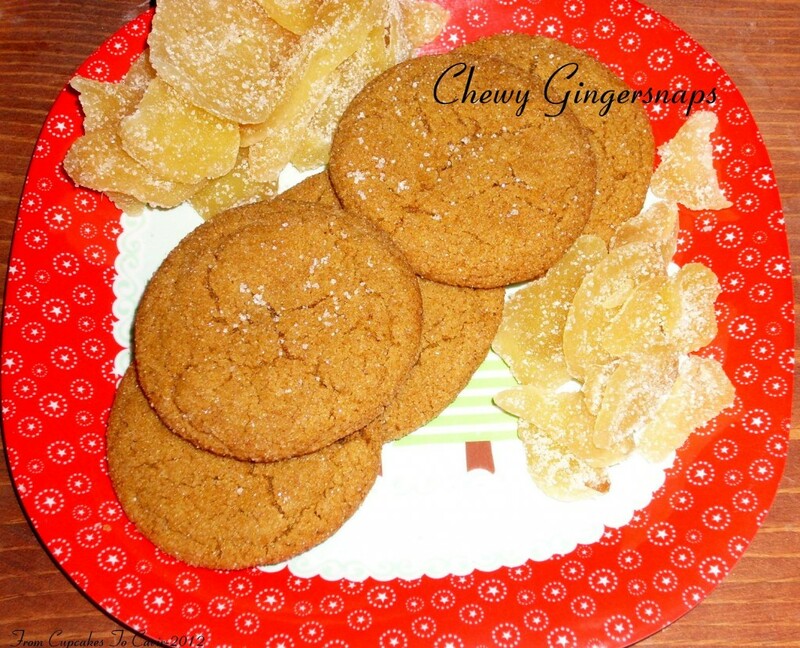 Back away from the Gingersnaps. In a large bowl, beat together the butter, sugar, molasses and egg. Wrap the dough in plastic wrap and refrigerate for about an hour (can be frozen at this point for later use) to firm it up. When chilled, preheat oven to 350 degrees. Shape dough into mediumish (about 1 inch) balls. Combine the sugar and cinnamon in a small bowl then roll each cookie ball in it. Bake at 350 degrees for about 10 minutes ( I make my cookies a bit bigger. If you do, just remember to increase your cooking time). They will puff up at first, then flatten out. Generally speaking, about a minute after they flatten out in the oven is when they are done. They should be firm and set on the top but not crispy looking. Cool for about a minute on the pan then transfer to a wire rack to finish cooling. Make sure to eat one, two… awww, what the heck, make it 12, while still warm. I won’t judge.